Happy Monday everybody. Here are several noteworthy items to help you kick off the week! The Los Angeles Times Web site has a story posted this morning with all kinds of details on a new Michael Jackson album due to land on May 13. The album, titled Xscape, will include eight, previously-unreleased songs by the King of Pop. Click here to read the story. Also topping today's news is the announcement that Austin City Limits (ACL) is launching the Austin City Limits Hall of Fame in conjunction with the iconic television series' upcoming 40th Anniversary. The Hall of Fame's inaugural induction ceremony will take place on Saturday, April 26, 2014 at ACL's original home, KLRU's legendary Studio 6A. Performances will feature the likes of Buddy Guy, Emmylou Harris, Lyle Lovett, Willie Nelson, Kenny Wayne Shepherd and more! For more information, and to watch full episodes of ACL, visit: http://acltv.com/. Neil Young launched a sold-out run of four pricey shows at the Dolby Theatre in Los Angeles on Friday night. With good seats running at $413.50 each on TicketMaster, I opted out of going (I do have bills to pay). It's an acoustic show where he doesn't even have to pay any other musicians! I've seen Radiohead and other top-tier bands up-close performing with loads of visual extras for well under $100. You can read Ben Wener's recap of the first show on The Orange County Register site here. Finally, the eighth and final season of Psych goes on sale, tomorrow, April 1. You can pre-order the title via the USA Network Web site by clicking here. An outstanding tribute to singer-songwriter Jackson Browne, the one-two punch of Queen guitarist Brian May and singer Kerry Ellis, and the solo debut from blues singer-songwriter-guitarist Mark Wein make for some fine listening. Tell me more: Few tributes to their honoree strike as lavishly as the two-disc Looking Into You: A Tribute to Jackson Browne. Many of Jackson Browne's most admired contemporaries as well as his acclaimed musical descendants revisit his celebrated songs. Whether it's Paul Thorn's blues-tinged "Doctor My Eyes," the inspired folk rocker "Barricades of Heaven"nailed by Griffin House or the playful raggae-flavored "Everywhere I Go" that teams Bonnie Raitt and David Lindley, there is a genuine sonic and emotional shimmer across the 23 wide-ranging songs on the first-ever (and first-rate) tribute to Browne. Other superb reworkings on the collection include Lucinda Williams' introspective "The Pretender" and an exotic version of "Linda Paloma" featuring Bruce Springsteen and Patti Scialfa. My favorite track on the disc is Joan Osborne's sensational rendering of "Late For The Sky." Information: MusicRoadRecords.com. Tell me more: "The Candlelight Concerts" features a full-length concert DVD of Queen guitarist Brian May and popular British singer Kerry Ellis (of both Broadway and London's West End fame) performing at the Montreux Jazz Festival on July 19, 2013, as well as a CD that was recorded on the duo's earlier Born Free Tour in November 2012. The nuanced and wide-ranging material tackled during the acoustic-minded DVD concert includes a hushed take on Kansas' "Dust in the Wind," an Americana rendering of the Queen rocker "Tie Your Mother Down" and a baroque-flavored take on the Freddie Mercury-penned Queen hit "Somebody to Love" with May, Ellis and audience sharing vocals. Highlights on the audio CD include the heartfelt tribute to the Beatles via George Harrison's "Something," the rousing "Crazy Little Thing Called Love" and a tender version of the classic Christmas carol "In The Bleak Midwinter." Information: EagleRockEnt.com. Tell me more: Mark Wein doesn't mess around. On his 11-song Black Market Hearts, the Orange County-based singer-songwriter-guitarist unleashes his blend of authentic and blistering blues songs that tap into the genre's roots while showcasing the here and now. The grooving "I'm Gonna Leave" with torrid work from Wein and keyboardist Gary Pritchard, the slow soulful blues of "Someone Else's Fool" and fiery R&B standout "Can I Take You Home?" help Wein hit this one out of the park. Information: MarkWein.com. 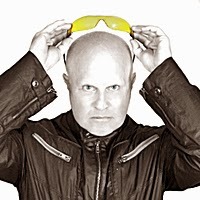 Despite losing all his musical equipment and the recorded tracks from an upcoming album, Mike Score, the veteran musician and lead singer of the legendary '80s band A Flock of Seagulls, has released his new album, Zeebratta. “It’s rough road, but I’m very proud to say that this album is coming out with some new and very exciting music for the fans,” Score said. It was just last July when the band’s van was stolen in Los Angeles along with $70,000 worth of music equipment and with the hard drives that contained the recorded music from the proposed album that became Zeebratta. As a member of the popular British band, Score was there from the beginning as A Flock of Seagulls took the music world by storm in the 1980s with such hits as “I Ran,” “Space Age Love Song” and “Wishing (if I Had a Photograph of You),” among others. Although A Flock of Seagulls is still going strong, Score always felt the need to record many of the songs that he had written over the years that were never recorded by the band. “They were good songs, but I never thought they really fit the kind of music the Seagulls played, so I put them away, thinking someday I’d record a solo album,” he said. More than 30 years after A Flock of Seagulls made their debut, Score’s new solo album is ready for release on March 1 and a new single, “Somebody Like You,” was released last month. The new album features Score’s own musical sensibilities that mix New Wave, traditional and alternative rock and punk with a variety of sounds that include acoustic guitars, violins, synthesizers and even a set of bagpipes to provide their own unique moods. The songs include the single “Somebody Like You,” which features Score channeling his New Wave roots with a catchy synthesizer riff reminiscent of his Seagull music. His melodic “Angel” features bagpipes, giving it a military feel that is unlike anything Score has recorded. “I was thinking of the Scottish Hills. I told guitarist Joe Rodriguez, ‘I want bagpipes on the middle 8 and military drums – it was kind of a joke to start with – but once done, they sounded fantastic,” Score said. Music producer and A Flock of Seagulls guitarist Joe Rodriguez, who produced the album with fellow producer Mikal Read said he was pleased with the new album. “Mike has put together a great set of music and it’s to his credit that he didn’t let losing all those tapes stop him from completing this album,” Rodriguez said. 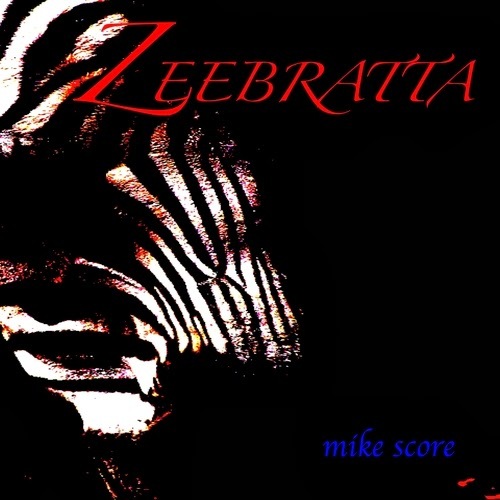 The album “Zeebratta” is available on iTunes, Amazon, CDBaby.com and elsewhere. To learn more, Mike Score is online at www.MikeScore.com. The eclectic musician was born in Beverley, Yorkshire, England. Mike and his brother Alistair “Ali” Score and formed A Flock of Seagulls with Frank Maudsley on bass and Paul Reynolds on guitar in Liverpool in 1979. The band soon found superstardom with successive international hits such as “I Ran (So Far Away),” “Space Age Love Song,” “Wishing (If I had a Photograph of You),” and “The More You Live, the More You Love.” The Grammy-Award winning band continued its rise through the mid-1980s until it disbanded in 1986. In 1989, Mike Score reformed the group with other members after its other founding members declined to rejoin the group. The re-formed A Flock of Seagulls continued to release albums in the 1990s and 2000s and were featured in the popular VH1 show “Bands Reunited” in 2003. Today, Mike is the driving force with the band which also features Joe Rodriguez, Pando and Mike Brahm. 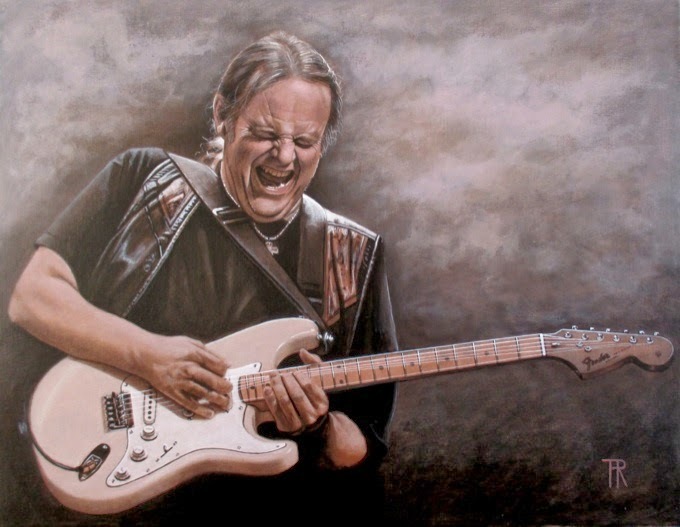 Los Angeles, CA --- Last year, Walter Trout was struck with a life-threatening liver disease, and as a result lost 100lbs. Marie Trout shares, "For five years, Walter, Provogue Records, and I have worked towards making Walter's 25th year as a solo artist a special celebratory event. But the festivities will have to wait. Walter is urgently in need of a liver transplant. It has been heart-breaking for me to watch Walter struggle through these past many months, as we tried various treatment options provided by Walter's doctors and liver specialists. One by one the treatments failed. Yet through it all, Walter's courage and determination continually amazed me. Even as he has become a shadow of his former self, after losing 100 pounds and much of his strength, he continued touring, writing, playing, singing and recording. Music and playing for people offered Walter what it always has: It is therapy and a life-line for him when the Blues comes callin'. Thus the theme of this album is colored by his confrontation with mortality combined with a deep, all-abiding desire to persevere, and a good dose of typical Walter'esque life-affirming defiance!" Provogue and Mascot Label Group's Ed van Zijl offers, "When Walter re-joined Provogue in 2008 we talked about a plan leading up to the 25th Anniversary of his career as a solo artist which is this year, 2014. besides a brand new album we also made a book and a documentary. Not only to make people aware of the 25th anniversary, but also to have people realize just how good and how important an artist Walter is for the blues rock genre Worldwide. A phenomenal guitar player and an even greater person. Always speaking from the heart and always in for a good joke. The touring set up for 2014 was fantastic with shows at the prestigious North Sea Jazz Festival and the Carre Theater in Amsterdam amongst many other great ones. Instead of being out there on the road giving his usual all to his many fans night after night, Walter is fighting for his life and there is nothing to celebrate at the moment. This is so very, very sad and we are all praying for Walter to come out on top. The album will be released as planned, and Walter definitely wants this one to be heard. In the meantime our hearts are with Walter and his family." Trout offers, "To play my music for people has become even more important to me. When I think about looking out into the crowds of people and connecting with everyone on a soul level, and sharing the experience of music with them, this is what keeps me fighting to get back: My family and my music is my lifeline. These days, it means more to me than ever before." Recorded throughout 2013, THE BLUES CAME CALLIN' features 12 new songs, ten of which are originals. One is written by John Mayall for the occasion, and the other is a J.B. Lenoir cover. Trout searches his soul on this album and lays it bare allowing the celebration of his career to be infused with new appreciation for life. The upcoming official biography is co-written with British music journalist, Henry Yates. The manuscript will be released simultaneously with the new album. Titled Rescued From Reality - The Life and Times of Walter Trout, the book features previously untold stories, and is packed with rare photographs from the musician's personal archive. The book documents an initially blissful childhood, shattered by divorce, abuse, and violence. As the story unfolds, it leads us through Walter’s life of heartache, poverty, living on the street and being “the only white guy” struggling in famous blues bands in LA in the late 1970’s. Walter reflects on his time in the 1980’s when nobody cared to hear the blues, to being “discovered” and having long-time gigs as a hard-playing and hard-drinking and drugging globetrotting sideman with Canned Heat and John Mayall. The book chronicles how Walter eventually became drug-free, broke out on his own and embarked on a solo career in 1989. Currently in production and scheduled to be shown in the summer, the exclusive documentary features Walter talking in depth about his life and music. Also featured in the documentary are many of the people who influenced Trout personally and professionally. The Afghan Wigs' new single "The Lottery" is definitely worth a listen! Check out the first single from Chrissie Hynde's upcoming solo album (hard to believe the Pretenders front woman is 62 but only now issuing a solo disc!). Click here to learn more about the album and hear "Dark Sunglasses." Pixies plan to release their first new album since 1991! Click here to get all the details via Pitchfork. USA Today has an interview with Boy George that you can read here. You can also watch his new video for "King of Everything" embedded in that article, one of the tracks off his first new album release in 18 years. Want to hear the The Afghan Wigs' new song "The Lottery" off the band's highly-anticipated return Do to the Beast? Click here to hear the intoxicating track. June 2014 will see the release of Chrissie Hynde's first-ever solo album. It's even more remarkable to think that The Pretenders' Chrissie Hynde is only now set to release her first-ever solo effort. 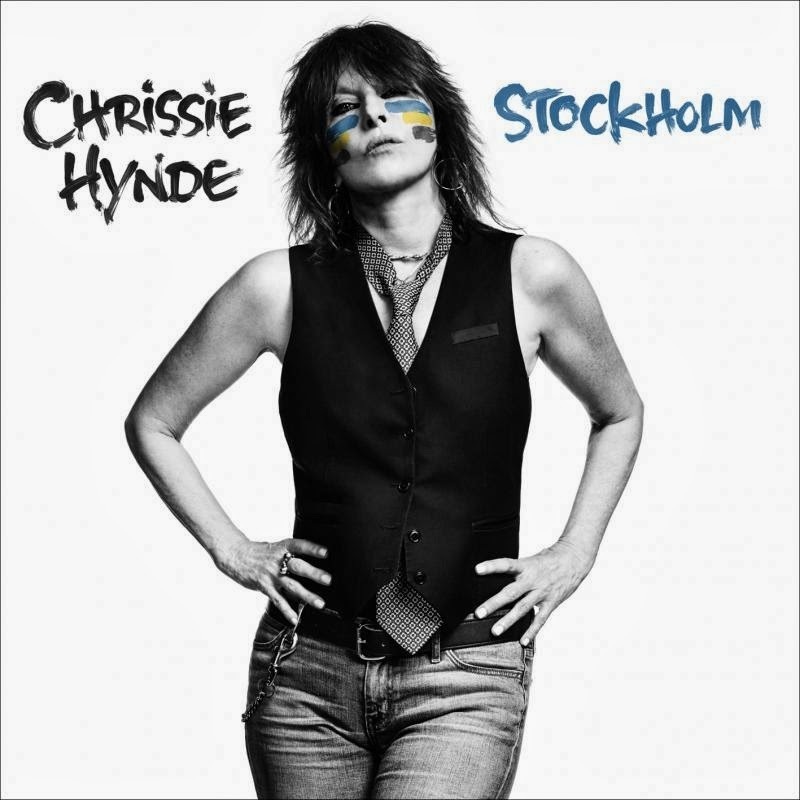 Titled Stockholm, Hynde's album is set to land via Caroline Records on June 10, 2014. "It's the first album with my name on it," Hynde says. "But it's not a solo album. In fact, making this album was more of a collaboration than any Pretenders album ever was." 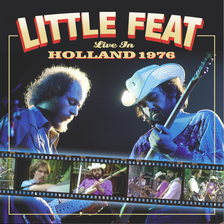 Recorded at Ingrid Studios in Stockholm, Sweden with co-writer/guitarist Bjorn Yttling of Peter, Bjorn and John at the controls, the disc also features contributions from Neil Young, John McEnroe and Joakim Ahlund of the Caesars. "Dark Sunglasses" is the first single from Stockholm. For more information on Stockholm, including to see the full tracklisting for the album, visit the Music Minded site here. Here is a roundup of some noteworthy news for a Monday. USA Today has a great behind-the-scenes look at the recordings and thinking leading up to the release of the fantastic Johnny Cash album Out Among The Stars that will be released tomorrow (March 25, 2014). You can read it here. 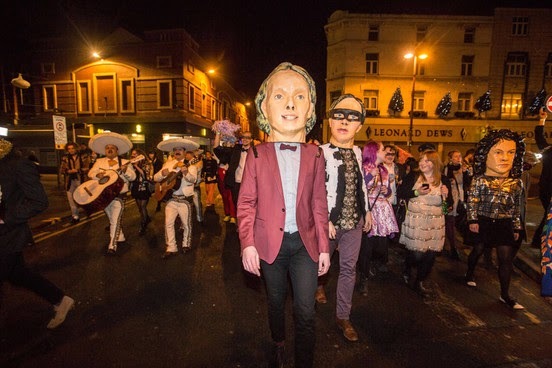 Some crook has stolen the papier mâché head worn by Arcade Fire band member Richard Reed Parry. I'm hoping the prop is returned to the group since it is one-of-a-kind and an essential part of the band's show. Read the article in NME here. George A. Paul has a complete roundup on YES on his Music Minded blog, including the band's upcoming 2014 tour dates (where the troupe is set to perform Fragile and Close to the Edge in their entirety) and details on the prog-rock band's forthcoming studio album Heaven and Earth. Read his post here. This week marks the release of new discs from iconic country singer Johnny Cash and prog-rock powerhouse ASIA, as well as a reworking of many of Bob Dylan's best 1980s songs courtesy of a number of modern day artists. Tell me more: A collection of lost tracks recorded by the late Johnny Cash in the early 1980s are featured on the wonderful Out Among The Stars. This is no mere reworking of previously-heard material; Out Among The Stars is a full-length disc of fantastic material produced by Billy Sherrill that showcases Cash's innumerable talents. The Man In Black's gift for musical storytelling ("If I Told You Who It Was," "I Drove Her Out Of My Mind"), heartfelt country ballads ("Tennessee"), rockabilly ("Rock and Roll Shoes") and his singular gift singing on a duet ("I'm Moving On" with Waylon Jennings; "Don't You Think It's Come Our Time" with June Carter Cash) and faith-minded country gospel ("I Came to Believe") shine across this album. His emotive and sparse "She Used To Love Me A Lot" resonates with the power of his Rick Rubin-produced American Recordings that were to follow in the '90s and early '00s. Information: johnnycashonline.com. Tell me more: Gravitas finds ASIA returning with another strong collection sure to please fans of the progressive rock quartet. While original guitarist Steve Howe has officially retired from the band, new guitarist Sam Coulson brings expressive and virtuoso playing to the material performed with founding members singer-bassist John Wetton, keyboardist Geoff Downes and drummer Carl Palmer. Like Daryl Hall and Paul Rodgers, Wetton is that rare lead singer who sounds as amazing in his sixties as he did at age 30. Gravitas thrives via a mix of anthemic uptempo rockers with big choruses ("Valkyrie," "Gravitas") and artful power ballads ("The Closer I Get," "Russian Dolls"), all of which spill over with emotional and musical resonance. Information: originalasia.com. Tell me more: While Bob Dylan's 1980s recordings are not nearly as celebrated as his seminal work in the '60s and '70s, a new collection (Bob Dylan in the 80s: Volume One) of reworkings of songs stretching from 1980's "Saved" to 1990's "Under The Red Sky" is casting a renewed look at Robert Allen Zimmerman's work created during that span. Built To Spill's version of the lyrical rocker "Jokerman," Craig Finn's authentic take on the softhearted "Sweetheart Like You," Glen Hansard's mighty interpretation of the gospel-tinged "Pressing On" and Deer Tick's charming "Night After Night" are among the many standouts. Information: 80sdylan.com. How cool is this? Is it May 20th yet? Legacy Recordings, the catalog division of Sony Music Entertainment, in conjunction with Roy's Boys LLC, the Nashville-based company formed by the sons of the late Roy Orbison, commemorate the 25th anniversary of the artist's Mystery Girl with the release of both a CD/DVD Deluxe edition coming Tuesday, May 20, 2014 as well as a 15-track (audio only) Mystery Girl Expanded edition CD. Mystery Girl – Deluxe LP will also be available as a collectible 2 LP set, struck on 180 gram 12" vinyl for audiophiles, vinyl aficionados and Orbison fans, in general. The set includes the original album’s track listing on one LP and the 9 bonus tracks offered on the Mystery Girl – Deluxe CD on the second LP. The vinyl set will be released on June 10 in time for Father’s Day. Those who purchase the Mystery Girl – Deluxe set through the online store at RoyOrbison.com will also be sent an exclusive, limited edition 18-month calendar (July 2014 – December 2015) featuring art derived from the Mystery Girl – Deluxe package. Executive produced by "Roy's Boys" (Wesley Orbison, Roy Orbison, Jr. and Alex Orbison) and directed by Alex Orbison, "Mystery Girl: Unraveled" features new interviews with Billy Burnette, John Carter Cash, Mike Campbell, Steve Cropper, Richard Dodd, Jim Keltner, Jeff Lynne, David Malloy, Tom Petty and Roy's three sons. The film also incorporates never-before-seen interviews with Bono, Barbara Orbison, Jeff Ayeroff and others, all sharing insights into Roy's life and work. Archival footage includes revelatory sequences lensed, literally, in Mike Campbell's garage (aka "Mike's Garage," where much of the album was recorded) in addition to breathtaking studio sequences and live footage shot around the time of the album's recording. "Mystery Girl: Unraveled" concludes with new documentary footage illuminating the creation of "The Way Is Love," one of the previously unreleased tracks on Mystery Girl - Deluxe. 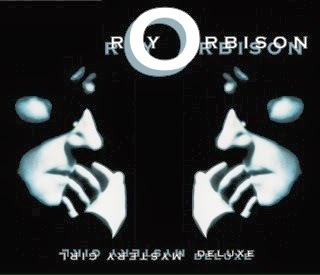 Roy's vocals were found on a previously unheard Roy Orbison/Bill Dees work-tape, originally recorded on a boombox cassette player, and meticulously stripped out for this extraordinary new recording. Produced by John Carter Cash and engineered by Chuck Turner, the "The Way Is Love" vocal was taken to Johnny Cash's Cabin studio in Hendersonville, Tennessee in 2013, using the newly discovered Roy Orbison vocal as its core. Realizing a life-long dream to record with their father, Wesley and Roy Jr played guitars on the song with Alex handling the drums and all three sons bringing background vocals to the mix. "Cutting a track with my brothers was more incredible than I can describe," said Alex. "I have been looking forward to this for my entire life." 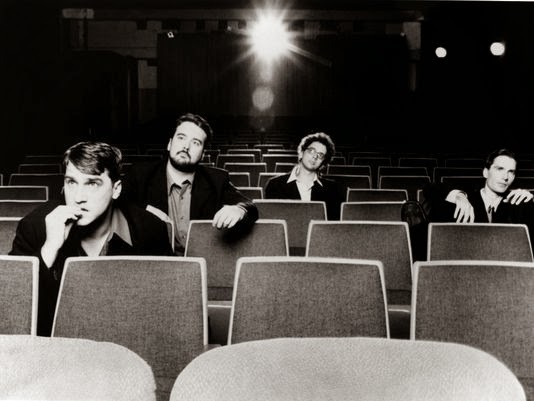 Roy Jr. noted that "More or less the reason Alex and Wesley and I are musicians was to play in Dad's band when we got older" and Wesley summed it up nicely, "I think we really got something special." 'Out Among The Stars' will be issued on March 25, 2014. How about this as the musical tip of the day? 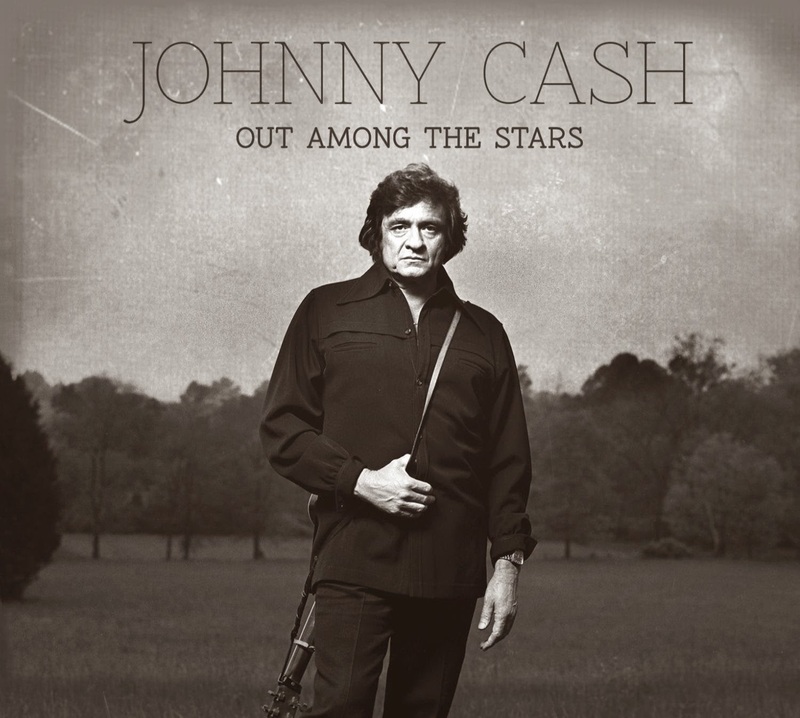 Amazon is hosting a fantastic feature where you can stream the new 13-track album of unreleased Johnny Cash songs titled Out Among The Stars through March 24, 2014. Here is the link. 'I Saved Latin! A Tribute To Wes Anderson' is set for release on May 13, 2014. Label chooses Wes Anderson’s birthday month to honor the director with double-CD tribute. (March 18, 2014) American Laundromat Records is proud to announce I Saved Latin! A Tribute To Wes Anderson is scheduled to drop worldwide on May 13, 2014. The 23-song, double-CD features Matt Pond, Telekinesis, Juliana Hatfield, Kristin Hersh, William Fitzsimmons, Generationals, Someone Still Loves You Boris Yeltsin, Freelance Whales, and others covering songs from Bottle Rocket, Rushmore, Royal Tenenbaums, Life Aquatic, Darjeeling Limited, and more. Exclusively recorded covers of songs by the Kinks, Rolling Stones, David Bowie, Elliott Smith, Nick Drake, Nico, Cat Stevens, John Lennon, among others are highlighted. I Saved Latin! is now available for pre-order from Amazon.com (http://www.amazon.com/gp/product/B00IJXJAIS). American Laundromat Records have been offering six exclusive pre-order bundles loaded with limited-edition bonus items direct from their website (www.alr-music.com). Bundles range from $14.00 (CD, Promo Pin and Rushmore Academy Business Card) to $60.00 (CD, Bonus 7-inch White Vinyl Single, Free Digital Download, 2 exclusive T-Shirt designs, Steve Zissou-inspired Red Beanie and Master Frogman Decal, Moonrise Kingdom-inspired Scout Patch, Rushmore-inspired Lapel Pins, and much more). All pre-order customers receive a bonus “Lobby Boy” pin to celebrate the release of Wes Anderson’s new film The Grand Budapest Hotel. Two of the six bundles are sold-out, and the balance of exclusive limited-edition bundles will no longer be available after March 31st. American Laundromat Records is running contests on their special I Saved Latin! Facebook Page (www.facebook.com/wesandersontribute). Criterion releases of Wes Anderson films such as the Fantastic Mr. Fox, and copies of The Wes Anderson Collection book are just some of the special items the label are giving away leading up to the release of the album. American Laundromat Records is an independent record label based in Mystic, CT. The label gained national attention for its popular 2005 compilation High School Reunion: a tribute to those great 80's films which featured indie-rockers covering beloved tunes from some of the 80's most popular teen films. All Music Guide called the 20-song thematic compilation “One of the finest tributes ever amassed!” and went on the say, “Let this serve as a blueprint for all future tribute sets.” Other ALR projects include the critically-acclaimed double-CD; Cinnamon Girl: Women Artists Cover Neil Young for Charity, the award-winning children’s album Sing Me To Sleep: Indie Lullabies, and the popular tributes; Dig For Fire: a tribute to the Pixies, Just Like Heaven: a tribute to The Cure, and Please, Please, Please: a tribute to The Smiths.